JEE Main is one of the most sought-after engineering examinations of the country. With its audience being as huge as a million, one has to be really smart to emerge amongst the toppers. Hard work coupled with smart work is the best way to crack this exam. One of the smart techniques to ace it is to keep an eye on the previous year trends. Solving past year papers and knowing which topics are important can be of immense help. Therefore, it is always wise to analyze papers of some past years, to understand and know the exam better. 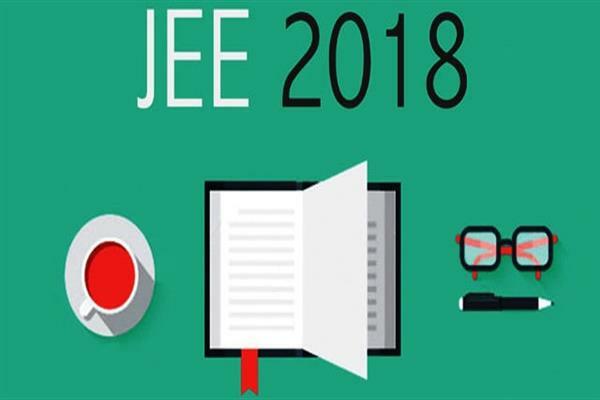 JEE Main 2017 was held on April 2nd, 2017 in the offline mode. The test had the same examination pattern as it was last year, with total 90 questions and 30 questions from each section. Thankfully, this paper did not carry any big surprise for students, as all the questions were correct and were not ambiguous. Physics section was exactly framed the way one would expect in JEE. It was not easy, not tough, but was tricky, and required some thought to crack. However, many students said that it was easier than JEE Main 2016’s Physics section. Most of the questions were moderate in both length and difficulty. Majority of the questions belonged to Class XII syllabus. However, this time more questions were of calculative nature, and thus importance of theoretical questions got decreased. If we see a topic-wise distribution, Mechanics proved to be the most important topic with 11 questions. After this, electrodynamics carried 6 questions; Modern & Nuclear physics also carried 6. 3 questions were there from thermodynamics and kinetic theory, and 2 from optics and wave optics. On a whole, 19 questions were from Class XII syllabus and 11 from Class XI. Chemistry was a sort of relief for most of the students. It was easy as well as less time consuming, thus becoming the easiest section of JEE Main 2017. JEE Main 2016 also had same level of difficulty, thus many students were probably ready to pick up speed and solve this section quickly. Also, most of the questions were of theoretical nature, thus easing the task even further. Topic-wise, the distribution was 8, 11 and 11 questions from Organic, Inorganic and Physical Chemistry respectively. As expected, Class XII syllabus carried more weightage than Class XI, with 17 questions from the former and 13 from latter. The surprise, in terms of nature of questions this year was Mathematics section. The questions were not tricky, but actually were lengthy to solve, thus making this section a deceptive one. Examinees had to keep patience and avoid mistakes in calculation, to succeed in this section. Due to its length, many students reckoned it as the most difficult section of JEE Main 2017, even after the questions were not as tricky as last year. Class XII syllabus proved to be a big majority here, with 20 questions from it. The rest of the 10 questions were from Class XI syllabus. Looking from a topic-wise perspective, Conics, Trigonometry and Vector Algebra carried 3 questions each. 6 questions were from Calculus and 15 from Algebra, this making it the most important topic for this year. JEE Main 2016 was held on April 3rd, 2016. The exam carried the same examination pattern like the year previous to it. A total of 90 MCQs carrying 360 marks were there in the question paper, with a time frame of 3 hours. Physics section was on moderate side overall. There were some questions which were directly repeated from previous years’ papers, which was a real delight for many students. However, many questions did seem simple but were calculative and lengthy in nature. Debatable language and options of some of the question increased the difficulty of the paper. Mechanics and Electrodynamics proved to be most important topics, sharing 16 questions within them (8 each). Modern Physics had 6 questions, while head and optics carried 3 questions each. Waves had two questions in the paper. 13 questions were in the paper from Class XI syllabus and rest 17 from Class XII. Chemistry was also a nicely framed section, except the fact that there were two debatable questions. Physical and Organic Chemistry part of the paper was doable and students had the chance to score from these. On the other hand, Organic Chemistry did prove to be tough as some factual questions were there in the paper. A good thing was that all the topics were from NCERT syllabus, which definitely proved to be a big plus for students. Class XII syllabus again stood as a clear majority here, with 18 questions. Rest 12 questions were from class XI syllabus. Apart from this, CBSE did a great job by giving exactly equal importance to all 3 sub-parts of the subject, with 10 questions appearing each from Organic, Inorganic and Physical Chemistry. Mathematics section was majorly of mid-level. Students had a good chance to score if they were able to plan and execute well. Out of 30, 8 questions can be called difficult, while rest ranged from easy to moderate level. The only problem was that one question (on binomial theorem) was a factually incorrect question. Apart from that, whole section was nicely balanced, though not a very high scoring one. Algebra and Calculus dominated the paper, with 11 questions from Algebra and 9 from Calculus. Topics like Co-ordinate geometry, Vector 3D and Trigonometry carried 5, 3 and 2 questions respectively. An interesting thing in the paper was that class XII and XI syllabus carried equal weightage, with 15 questions from each of them. Physics section once again proved to be a tricky one for most of the candidates. A high number of questions were analytical in nature, which made this section a time consuming one. More or less the paper was of similar level of difficulty as expected, as being JEE one does expect the paper to be at least moderate, if not easy. The section featured 13 questions from Class XI syllabus and rest from Class XII. Taking a topic-wise distribution, the major topics were Mechanics, Magnetics & EMI and Electrostatics & Current Electricity proved to be the most important topics, with collectively 17 questions in them. After this optics & waves, waves & elasticity along with heat and thermodynamics were other important ones. Chemistry again proved to be a life saver for students. The students felt that this section was not as tough as others and thus took it as section to secure maximum marks. The paper had 8 easy, 17 medium and 5 difficult questions, thus giving the students a chance to get as many as 25 questions correct at least. However, there was a dominance of inorganic section this time. As many as 13 questions appeared from it, while organic and physical chemistry carried 8 and 9 questions each. The distribution of questions amongst class XI and XII syllabus was a little surprising, as Class XII syllabus dominated heavily here, with 20 questions out of 30. Thus, class XI syllabus had to settle with 1/3rd of the section with only 10 questions. Mathematics was the one section of the paper which received varied responses from students. While some said that it was the easiest section, others found it to lengthy and calculative. However, the question paper was not a tough one, as only 3 questions out of 30 were of high level of difficulty. 90% of this section revolved around easy to medium questions, and therefore, this section cannot be called a tough one. Topic-wise, it was much on expected lines. Algebra and calculus dominated (as usual), with 9 and 8 questions respectively. From other topics, Co-ordinate had 6 questions, Vector/3D had 3. The other two topics, trigonometry and statistics carried two questions each. However, the bigger surprise was that Class XI syllabus dominated this section, with 16 questions. Class XII syllabus, quite unusually, had only 14 questions.